Affordable area rugs are a great way to add warmth, depth, and visual impact for less. Here’s how to choose one. Adding affordable area rugs to your home can define your room design and enhance your overall theme. A common misconception is that unique area rugs are very expensive. You might be surprised to learn that there are plenty of stylish and cheap area rugs available. These rugs don’t compromise on quality either. Listed below are the best cheap area rugs we could find on the market. Our collection features colorful area rugs, rugs in solid colors, modern area rugs with patterns and much more. Browse through our collection and we’re sure that you’ll be inspired to add some personality to your home with a new, statement area rug. Contemporary area rugs are fun, design-forward, and offer an easy way to change the look of a room instantly. Before buying a new rug, you should consider a few factors. If you’re looking for cheap area rugs it’s likely that price is the first important factor for you. But that doesn't mean you have to compromise on quality. After all, no one wants a rug that is going to fall apart after 6 months or starts looking tatty with normal wear and tear. We did the research for you and found the very best, high-quality affordable area rugs. Secondly, you’ll want to consider where in your home you’d like to put your new rug. Some rugs look great in one place, but not so good in others. For example, the visual impact of center rugs will be wasted in a room where their charm goes unnoticed. Instead, place your center rugs in the middle of rooms, such as the living room. Before you search for an inexpensive area rug, decide which room in your house you’re shopping for, this will help guide your decision. Contemporary area rugs are available in various sizes, styles, colors, and materials. The size will be dictated by the room you want to put your new rug in. It’s likely that the style will be too. Choose a rug that will work well with your existing decor, unless you’re looking to change your design. Colors for area rugs are wide-ranging. If you’d like to make a bold statement, go with a bold color. For example, sunshine yellow. If you’d rather your rug isn’t the center of attention, choose a more subtle tone like butter or caramel. Make your friends' jaws drop with this grey polypropylene area rug, by: nuLOOM, a heavenly home décor accessory. Made with the very best polypropylene, size: 5'x7'5". Buy it now top rated for modern area rug, what a marvelous idea! This simple and understated design is the best grey synthetic fur area rug, brand: ACTCUT, nostalgic living room upgrade piece. Dimensions: 4-Feet*5-Feet(120*160 cm). the best classic area rug, what's not to love? a really unique decor item. Aristocratic burgundy area rug, by: Persian-Rugs, model: PRED. Material: supreme synthetic materials, customized dreamlike area rug, a cool bedroom accessory, size: 5'x7'. Finally the best vintage area rug, firm and solid. Luxurious grey and ivory polypropylene area rug, by Safavieh, model: SGH280B-5. Material: polypropylene, amazing living room masterpiece, size: 5'1"x7'6". If you love style and design you will need this minimalist area rug. This is an epic brown area rug, by Ottomanson, a heavenly home décor adornment. Size: 5'3"X7'0". customized modern area rug, a perfect fit your new home, such an amazing design with a classic theme, coolest ever! Splendid ivory and grey polypropylene area rug, manufactured by Safavieh, model: SGH281A-6. Made of polypropylene, get a great deal for gem area rug, amazing bedroom classic accessory, dimensions 6'x9'. Will blow your mind! Magnificent chocolate polypropylene area rug, by Superior, model: 3X5RUG-VIKING-CH. Material: polypropylene, customized noble area rug, a radiant living room elegant piece, dimensions: 3'x5'. 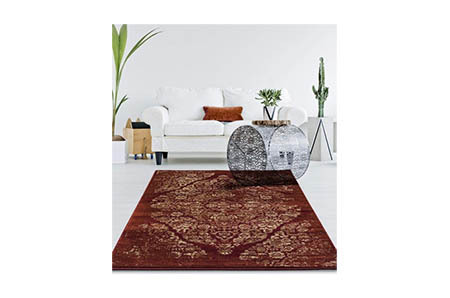 The stunning best selling area rug on sale. 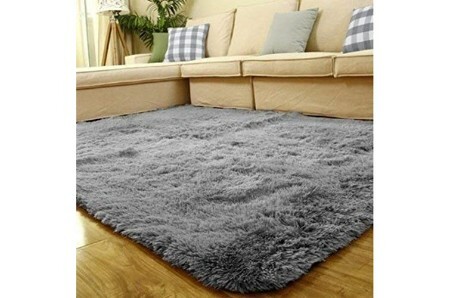 A really unique grey area rug, manufactured by: Ottomanson, a superb home décor adornment. Made with the finest synthetic materials, size: 5'3"X7'0". Least expensive cost for a minimalist area rug, so adorable. Now you can get the best beige area rug, produced by Sweet Home Stores, a must have bedroom adornment. Made with prime synthetic materials, size: 5'3"X7'. Cheapest price for modern area rug, affordable for everyone! Tasteful grey area rug, manufactured by: Ottomanson, model: PTR1553-5X7. Made of top-level synthetic materials, a radiant living room brilliant masterpiece, dimensions: 5'3"X7'0". A really unique area rug, absolutely amazing and unique! Awesome, check out this vine cream/beige polypropylene area rug, made by: Safavieh, an extraordinary home décor showpiece accessory. Made of the finest polypropylene, size 5'3"x7'6". The best deal for a vintage area rug, astounding and remarkable. Aesthetic multi-color area rug, manufactured by: Home Dynamix, model: Royalty 41019-450 5x8. This is the best price for this staggering area rug, a sublime bedroom artistic accessory, dimensions 5'2"X7'2". A must try! Probably the coolest grey and ivory polypropylene area rug, created by Safavieh, a must have living room masterpiece. Material: fine polypropylene, size 6'7"x9'. Now on discount, a great decor item and that's just the beginning! This is one of the coolest sealife multi-color area rugs, made by Nourison, a cool home décor accessory. Made with top-notch synthetic materials, dimensions: 5'3"x7'3". This is a bargain classic area rug, and that's just the beginning! 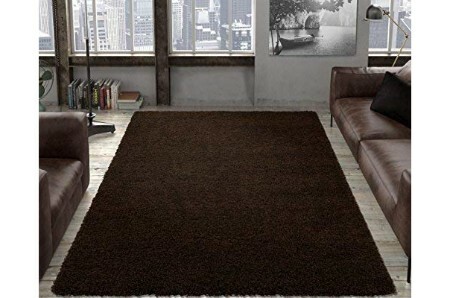 High-quality black wool area rug, manufactured by AS Quality Rugs, model: 22-8x10. Made with top-level wool, the best deal for staggering area rug, a wonderful bedroom masterpiece. This is one of the coolest vintage area rug, adorable. 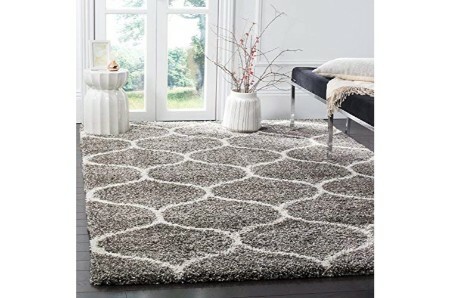 The smash hit grey polypropylene area rug, brand: Nourison, a wonderful living room accessory. Made of first-class Polypropylene, dimensions: 3'9"x5'9". The best minimalist area rug out there, on-sale, a great masterpiece. Prepare yourself for the best grey / ivory polypropylene area rug, made by Diagona Designs, a must have home décor accessory. Made of fine polypropylene, size 7'10"X9'10". An affordable modern area rug, so well designed. This is one of the coolest orange tones area rug, made by: Well Woven, a heavenly bedroom enhancement piece. Size 7'10"x9'10". The best classic area rug, what a marvelous idea for your new home. The next level of home décor. Finally, a perfect grey/blue fabric area rug, a piece by Maples Rugs, a must have living room showpiece accessory. Made of excellent fabric, size: 7'X10'. Now on limited time discounts for vintage area rug, will blow your mind! Fancy blue polypropylene area rug, manufactured by: Rugshop, model: 9099Yellow9' x 12'-P. Made with the very best polypropylene, this is the best price for this great area rug, an extraordinary home décor enhancement piece, size 5'x7'. Enjoy! Get ready for the top selling dark gray polypropylene area rug, produced by Unique Loom, a beautiful bedroom layout accessory. Size: 5'x8'. 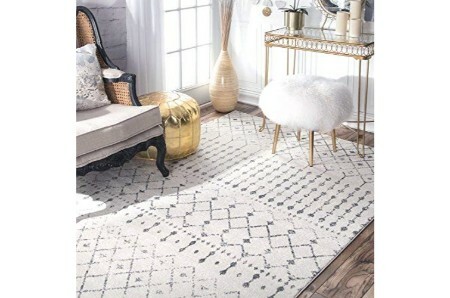 Luxury modern area rug, it's the perfect affordable nostalgia home decor idea! Fancy blue polypropylene area rug, made by Rugshop, model: 106 Blue 7' 10" X 10' 2". Made with classic polypropylene, an extraordinary living room fashionable piece, dimensions: 7'10"x10'2". Lookin for the perfect decor idea? You found it! Awesome, check out this natural fibers area rug, manufactured by Safavieh, a must have home décor upgrade piece. Made with excellent fibers, dimensions: 6' Square. Buy it now, a top rated jute fibers area rug, cheers! Cultured light blue & beige polypropylene area rug, a piece by Superior, model: 5X8RUG-ROCKWOOD-LBBI. Such a staggering area rug, a beautiful bedroom masterpiece, dimensions 5'x8'. You need this in your life! A minimalist area rug, enjoy! Rugs are an ideal way to set the tone of a room. Choosing the right one depends on the type of space you’re designing for. In this article, we’ll be discussing how to choose the perfect rug for every room of your home. A bedroom rug can establish the room as a quiet, peaceful haven. Or make a statement with an eye-catching design. Decide which you’d like for your bedroom before you start shopping. In terms of size, some people like wall to wall rugs. Others prefer rugs by the sides of the bed or at the foot of the bed. If your home has floorboards or you live in a cold area, remember that large rugs create warmth underfoot. They also look luxurious and inviting. Your living room offers the perfect opportunity to make a bold statement with your rug. Feeling daring? Go for a powerful pattern with a large-scale print to match the scope of the room. Remember that an area rug in the living room will often have a table placed over it, so some of this visual impact is lost or hidden. If you’ve invested in some flooring that you’d like to show off, choose a rug that complements rather than overwhelms your floor. A complementary jewel tone works well with wooden floorboards. Your hallway rug is probably going to see more traffic than any other rug in your home. For this reason, choose one that is made from a durable, practical material. Tightly woven wool rugs work well here and they won’t retain anywhere near as much dust and dirt as large loop-pile rugs will. The same holds true for the rug in your dining room. Go for a cut pile wool rug which can withstand the dragging of chairs and potential food and drink spills. Cut pile wool rugs are user-friendly and easy to clean. This is one of the coolest beige cotton rope wall mirror, produced by Mkono, a heavenly home décor stylish accessory. An affordable classic wall mirror, what's not to love? a really unique decor item. Perfect for your new home. If you want to add a touch of style you need this black & white cotton throw blanket, created by DII, astonishing home décor stylish accessory. Made of the very best cotton, dimensions: 50 x 60". An affordable modern throw blanket, coolest ever! Jewel faux marble/gold metal end table, created by WE Furniture, model: AZF16ALSTMGD. Made of top-level metal, nostalgic living room showpiece accessory. Add a splash of color to your day with this minimalist end table, enjoy! It's hard to beat this awesome brown end table, a wonderful home décor masterpiece. Save money with this vintage end table, a wonderful addition for you new home design. Sometimes the smallest things make a huge effect. Enjoy! The super best white side chair, manufactured by: Poly and Bark, a superb home décor classic accessory. Made with the finest wood and plastic. This item received the best reviews for a classic side chair, looks amazing and super fun! Fabulous black and white cotton throw pillow, a piece by Woven Nook. Made of prime cotton, top of the line innovative throw pillow, a must have living room accessory, size: 18x18. This is an epic modern throw pillow, lovable and cute.